In 1991 Emily Piper is a graduate student finishing her dissertation on metaphysics, when her home and work are destroyed in the Berkeley-Oakland fires. With her life's work in cinders, she retreats in shock to the small coastal town of Mendocino. It is here that Emily becomes hesitantly involved in the early days of Net chat rooms. Soon, Emily, dubbed Pi, wanders into the quixotic thoughts of JD, a mysterious figure living on America's opposite coast. What develops is a tentative, stimulating and perilous relationship. Who is JD, and furthermore, who, now, is Pi? This is the highly original, multilayered story of two lost souls whose charged connection gives new meaning to the "mind/body problem." 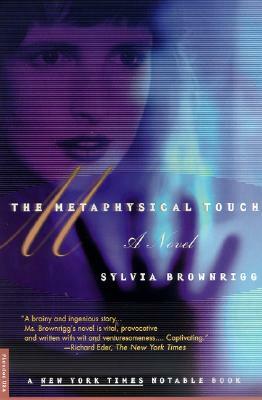 Sylvia Brownrigg is the author of a collection of stories, "Ten Women Who Shook the World," and most recently""the novel" Pages for You"--both published by Picador. She lives in Berkeley, California.